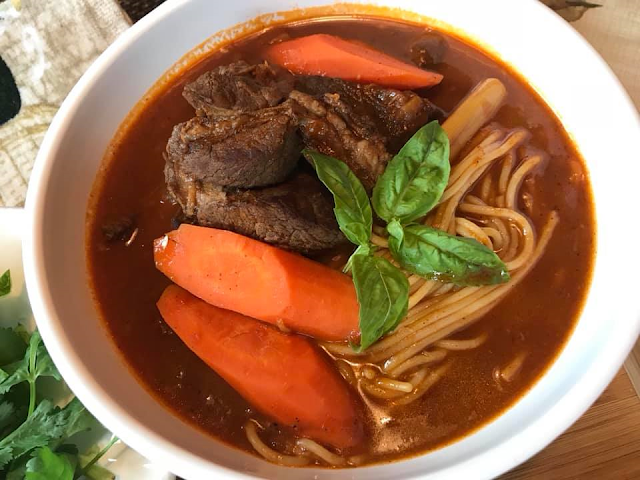 Vietnamese Beef Stew or Bo Kho is a delicious and flavorful stew flavored with star anise and lemon grass. This Vietnamese style Beef Stew is deeply fragrant with ginger and serve with bread or noodles or some rice. If you love Beef Stew, you definitely need to check out this recipe. This Beef Stew has all the flavors of a traditional beef stew with additional aromatics from star anise, five spice powder and lemongrass. What could be better than eating a bowl of Vietnamese Beef Stew in this cold weather. 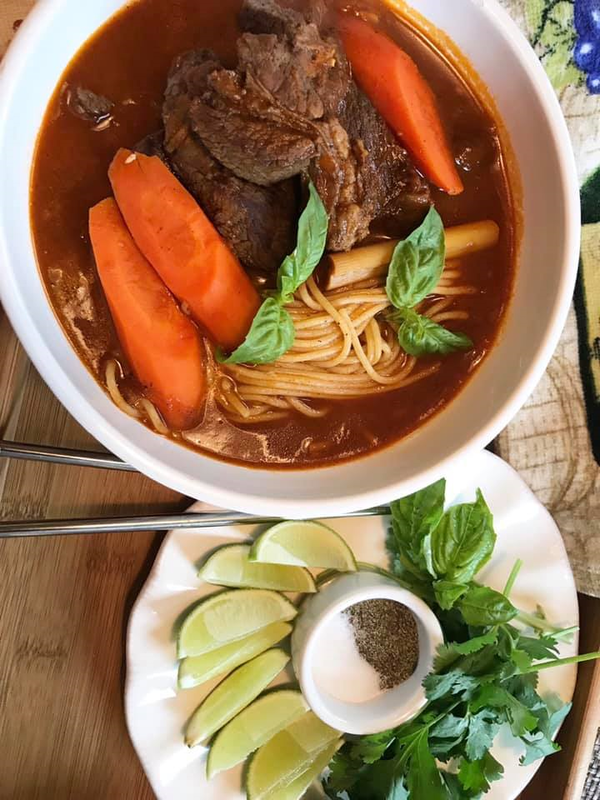 My friends and family knows I love Vietnamese food and one of the first Vietnamese food I tried and became my instant favorite is this Beef Stew. 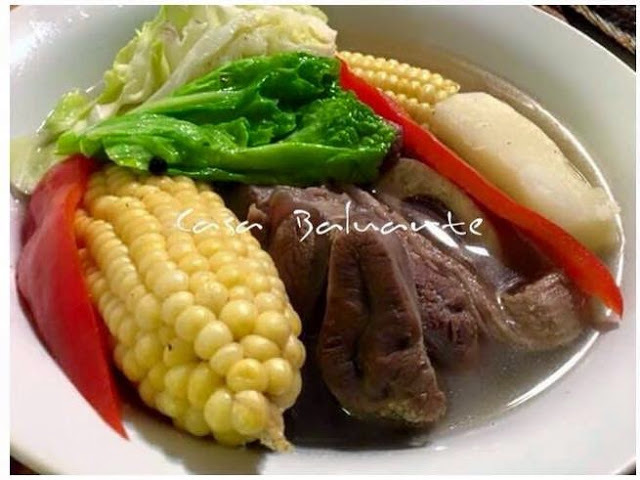 This recipe reminds me of Ilonggos Beef Kansi and Beef Kaldereta combine. 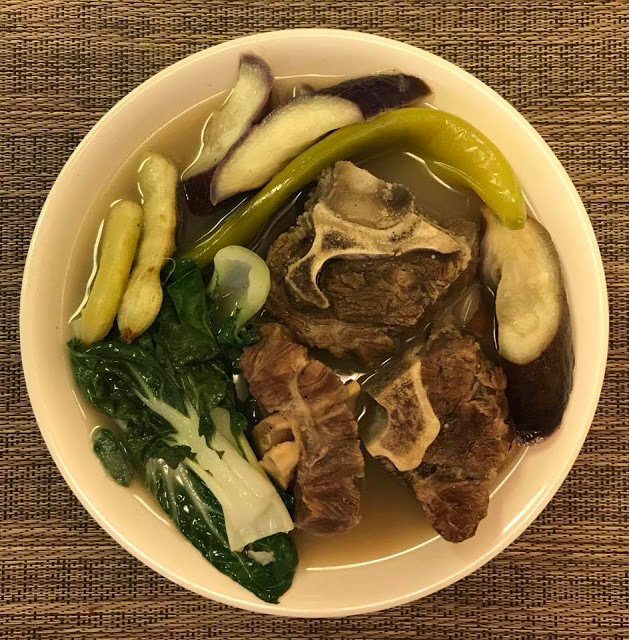 Maybe because of the lemongrass flavor of Beef Kansi (Kansi is an Ilonggo dish that is cross between Beef Bulalo and Beef Sinigang) and the tangy flavor of Beef Kaldereta because of the tomato sauce. 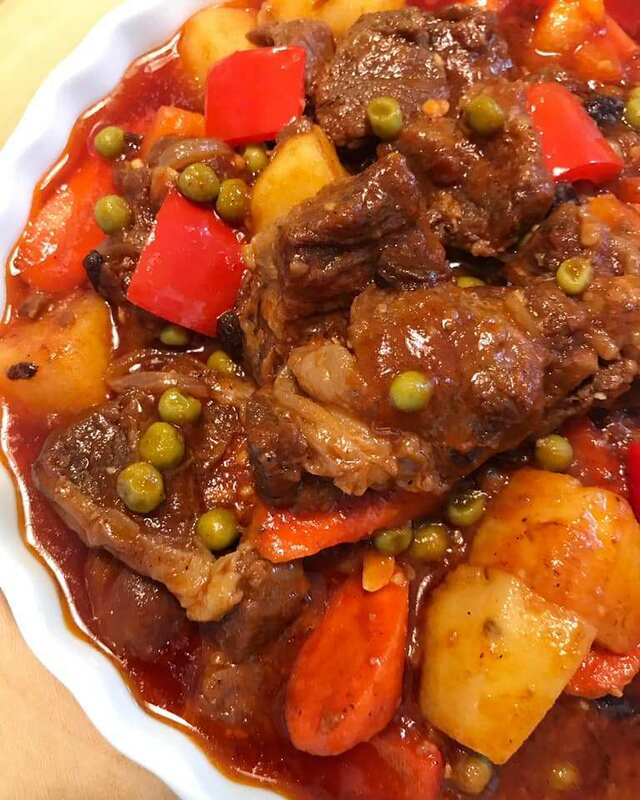 This Vietnamese Beef Stew recipe is really worth a try. 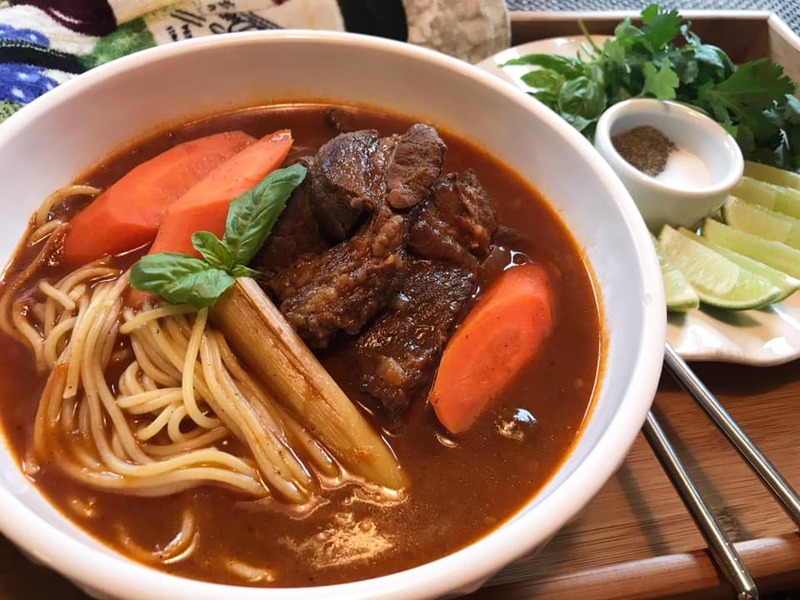 If you are hesitant to cook this, next time you are in a Vietnamese restaurant try asking for Bo Kho or Beef Stew. You can add chili on your bowl of beef stew if you want it spicy or leave it as it is. It is so delicious and something different. Give it a try and let me know how you like it. Don't forget to check out the related post below. 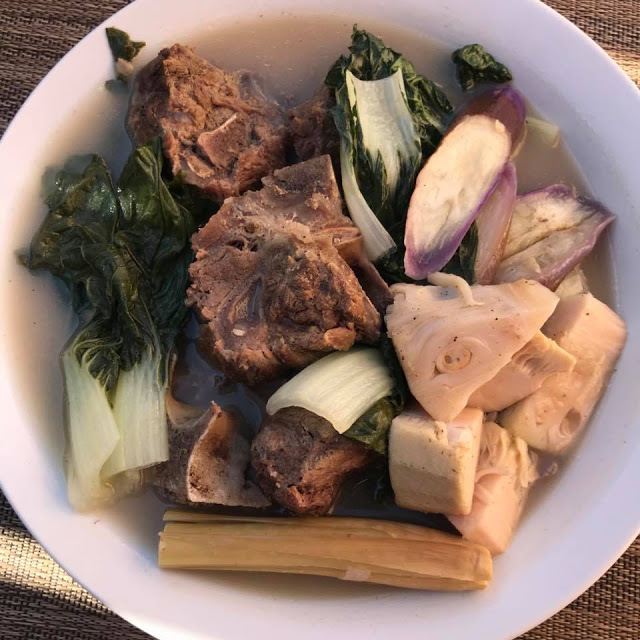 Click on the name link below the picture to see complete recipe. In a wide bowl combine fish sauce, garlic, ginger, five spice powder, brown sugar, bay leaves and the beef. Toss and set aside to marinate for at least 2 hours. Heat oil in a large pot over high heat. Remove beef from the marinate and pan sear evenly on all sides. Remove the pan seared beef from the pot and set aside. Set aside remaining marinade. Using the same pot lower the heat to medium and add the onions. Cook until soft and translucent for about few minutes. Add the tomato paste diluted in water to the pot and stir. Cook and stir for few minutes or until the mixture thickens. Add the seared beef, star anise, a pinch of salt and stir. Cook for few 5 minutes. Add the remaining marinade including the lemongrass back to the pot and the water. Stir. Reduce heat to medium low and allow to simmer for an hour or until beef becomes tender. Add more water if needed. Add carrots to the post and continue to cook until carrots are tender. Taste test if more salt or fish sauce is needed. Remove the lemongrass and star anise from the pot and discard. Serve hot with noodles or bread or rice and garnish with chopped cilantro and sliced limes. Enjoy your delicious hot bowl of Vietnamese Beef Stew.